A wedding is a great big, important party. And, the key is to hire a professional to relieve the bride, groom and their families of any unnecessary stress so that everyone can enjoy the festivities. 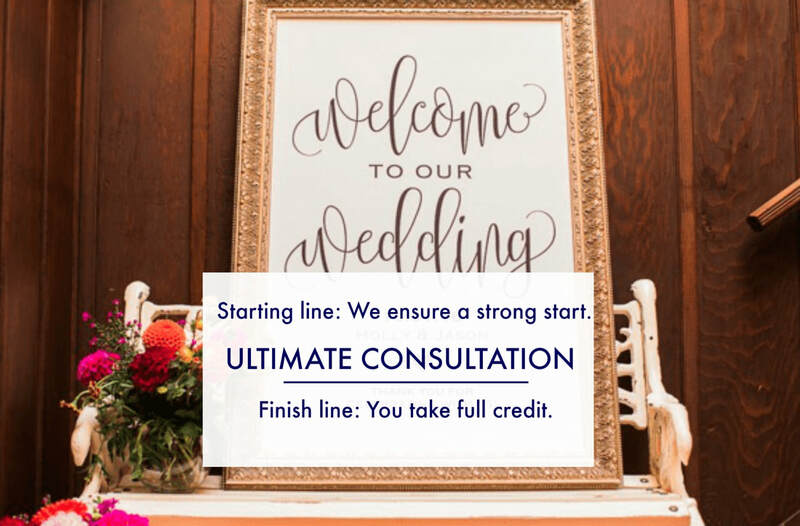 We are known for listening to our clients, discovering what makes them unique and creating entirely original celebrations that shine the spotlight on their commitment to one another. At Shine Event Design we offer a broad range of services to fit the needs of our diverse clientele. Click here to view some of our favorite clients' wedding days. For all of our planning services, work begins from the moment of hire. Day-of-coordination services are no exception! 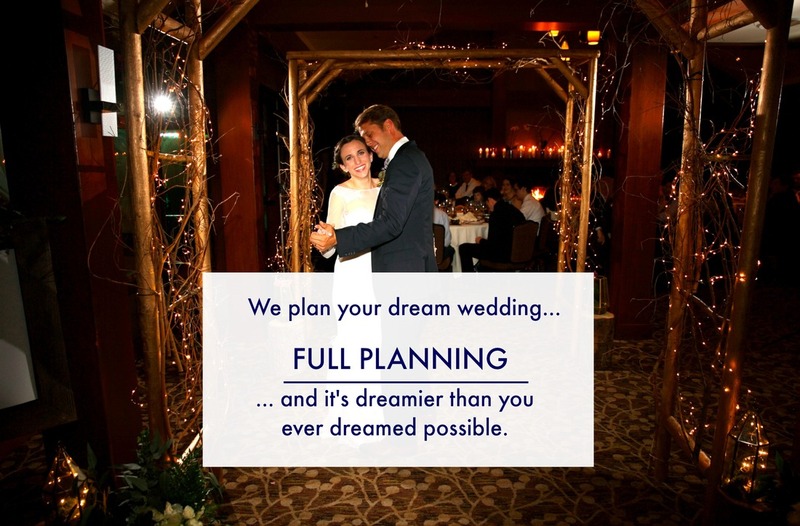 We'll talk many times before your wedding day to go over all of the details you've planned. In addition to creating a detailed day-of-timeline and coordinating with each of your vendors, we'll be alongside you on your big day. When your wedding day arrives, we will supervise and manage all of the little details. From vendor arrival and set up, cueing you for your walk down the aisle, to the clean-up of the reception, we'll be making sure your day goes smoothly. Management of a ceremony rehearsal, if desired, is also included in this package. 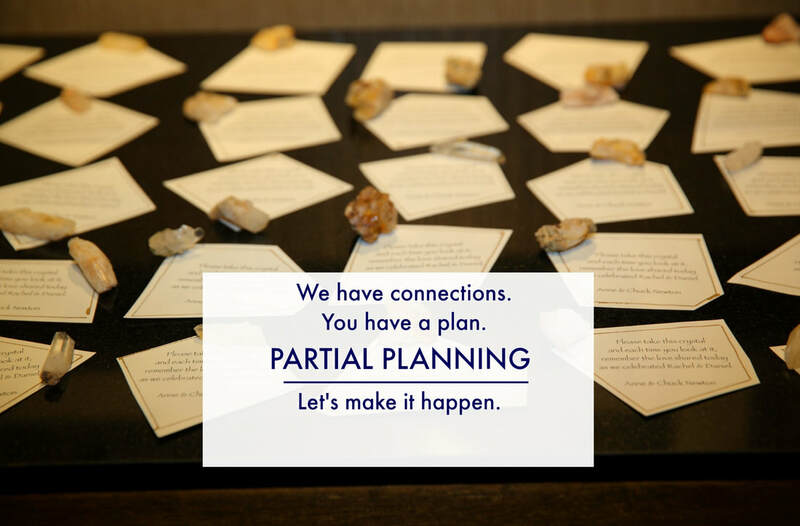 Our Partial Planning package allows you to choose select elements of your wedding that you would like for us to research, recommend, and manage so you can spend more time on everything else. Examples of elements you may have us work on are: venue selection, rentals, catering, design, florals, entertainment, transportation, dessert buffets, photographer selection, hair and makeup selection, or the rehearsal dinner. We talk with you about what you're looking for from these vendors, your budget and style. We then set up a custom online, private wedding planning board. From there, we find you the perfect vendors to make your wedding exactly what you want it to be. This package also includes everything in the "Day of" Coordination package. With our Full Planning package, no detail or task is beyond our scope of services. We work with you from conception to execution to create the wedding you want. We start by talking with you about what you want for your big day, from budget to vendors, venue to getaway car, we figure out what personal details and meaningful moments you want to add to your wedding and we make that happen. 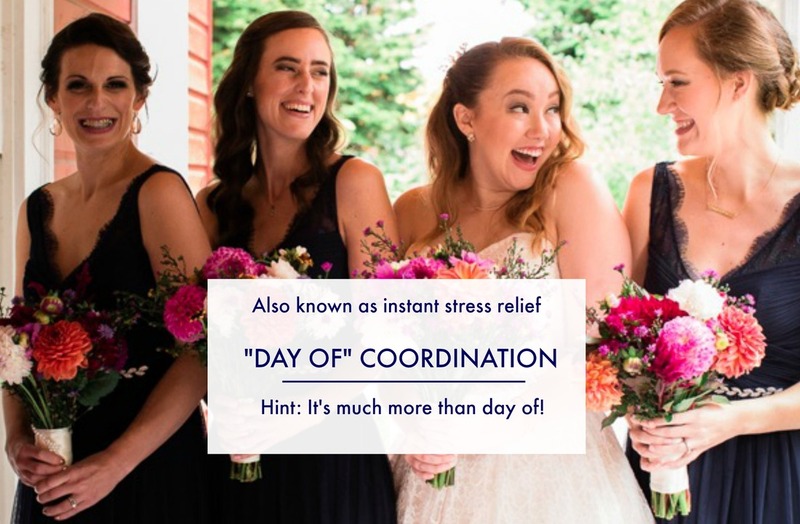 Our Full Planning package includes use of a custom, online, private wedding planning board and a private visual planning board, plus everything in the "Day of" Coordination Package. You want to plan your wedding yourself. But, wouldn't you love to tap the brain of a professional event design studio and use our years of experience to point you in the right direction from the get go?! Meet with our creative director for a one-on-one collaborative work session. Walk in with your pins, ideas and wedding day goals. You'll walk out with professional ideas, vendor referrals and a strong creative direction of how to make your wedding day one to remember. The conversation will focus on moving you forward in the planning process and may involve brainstorming on guiding theme, color palette, venue searching, vendor recommendations, and planning timeline creation. Plus, we'll follow up the consultation with a pdf recap of the major ideas presented. * Travel expenses may apply outside of the Greater Seattle area. We'll happily supply details and work with you if this applies to your wedding planning needs. * We understand that each wedding is unique and will require different planning and coordination services. While we work hard to provide you with an initial quote, prices are not final until there is a mutually agreed to contract in place tailored for your wedding needs, location and plans.